In society, maybe you have heard that Buddhists are idol worshippers, worshipping the statue of Buddha for something good like money, health, fortune, etc. The people who said that truly haven’t learned Buddhism. Even if they have learned, they haven’t digged Buddhism deeply. They only learned the “skin” of it. 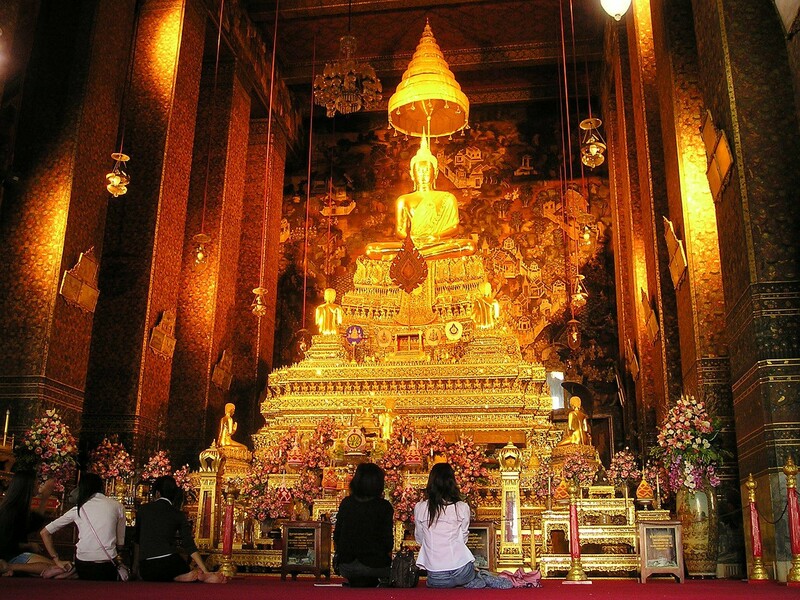 They can easily judge that Buddhists kneeling in front of Buddha statue were worshipping. However, there are also misunderstandings among Buddhists about Buddhism. They might consider the statue of Buddha as an object of requesting. So, there are 2 causes of why some people said Buddhists are idol worshippers. One is they haven’t learned Buddhism accurately. The other one is some Buddhists admitted that they do worshipping Buddha statue which is a misconception in Buddhism. Recently, I have browsed through a nice Youtube video contains an Indonesian Buddhist monk preaching about why Buddhism is his choice (he is not a Buddhist before). One part of his discourse that attracted me is about Buddha statue worshipping. He said that the statue of Buddha is not an object/place of asking for something. If it is, when there is an earthquake rocking a temple, the statue will jump and run to save itself. Yeah, it is funny but it makes sense. If someone can ask for money to the statue, then he won’t go to work again. His daily work is only kneeling and worshipping in front of the statue and the money will appear by itself in front of them. But that never happened and won’t happen. If someone can ask for healing to the statue, then it is useless for others to become a doctor or medical officer. They will lose their job because everyone can be healed by only worshipping the statue. The other funny part of the video is, if that happened, the monk said that the statue has taken a medical major in university. Again, that never happened and won’t happened. If the statue can give you healing, money, fortune, or everything you want, this world will be a heaven. No more work and no more sweat. And that doesn’t make sense and is impossible. So, what is the Buddha statue for? The Buddhist monk said that the Buddha statue is a sign or symbol of struggling. In life and to have a good life, everybody definitely has an ambition and life goals. In order to achieve them, he/she must work hard. The same as Siddharta Gautama who was willing to leave the castle and give up luxury. He worked hard to seek for solution to cure suffering, aging, illness, and death. He struggled (the scripture states that he has ever closed to death) until he got enlightened and became a Buddha. The hardworking of Buddha that resulting in a path called Noble Eightfold Path should motivate others to work hard and achieve their ambition. So, it is clear that Buddhists are NOT idol worshippers. If they are, they have misconception about Buddhism and they should be informed about the right teaching of Buddha. Clearly, Buddhists that are kneeling in front of Buddha statue are not worshipping. Instead, they are reviewing the Dharma and powering their faith to the Noble Eightfold Path and also to be motivated by the Buddha to achieve their ambition. I think this article should change the way how people see Buddhists practice.